Among online stores, the king is definitely still Amazon, despite the rise of other webs of the likes of AliExpress and Rakuten. Mainly because it was a groundbreaker in the field of large-scale e-commerce that revolutionized the distribution sector introducing business models that have been copied and followed by its own competitors. And although back then it started off with its business through a web that is obviously still running, the arrival of Android and iPhone led to the development of native applications that are available for both platforms. 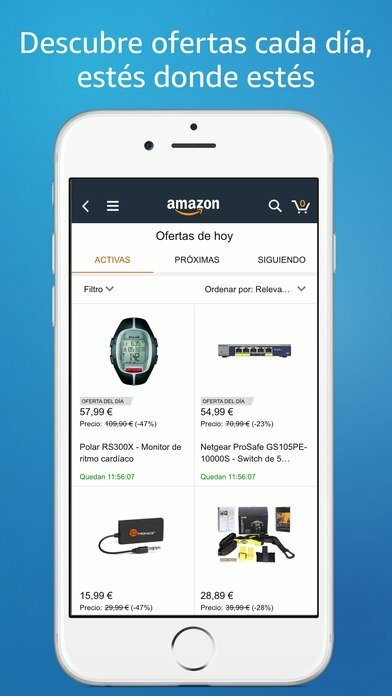 We're talking about Amazon Mobile, the app of the store from which we purchase any of its items regardless of where we are. 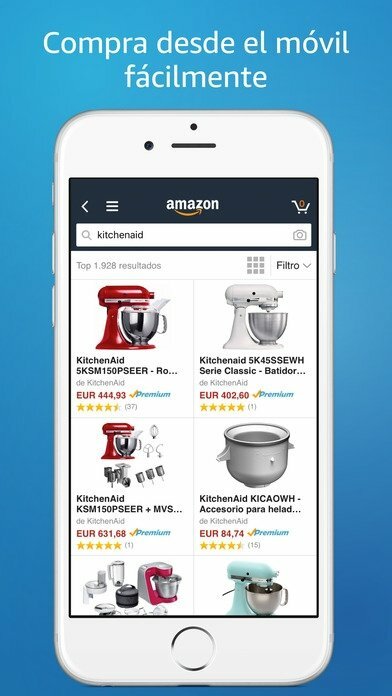 The application adapts to be able to purchase from your corresponding country: UK, USA, Germany, France, Spain... so establish your favorite store and explore its catalog where you'll be able to find absolutely everything. Want to buy shoes? Books? Albums? T-shirts? Smartphones? A fidget spinner? Don't, worry you can purchase whatever you can think of as there's always a wide range of products at different prices. Shopping from a mobile phone had never been so easy. Simple search system to look for products: carry out simple or advanced searches depending on different criteria. 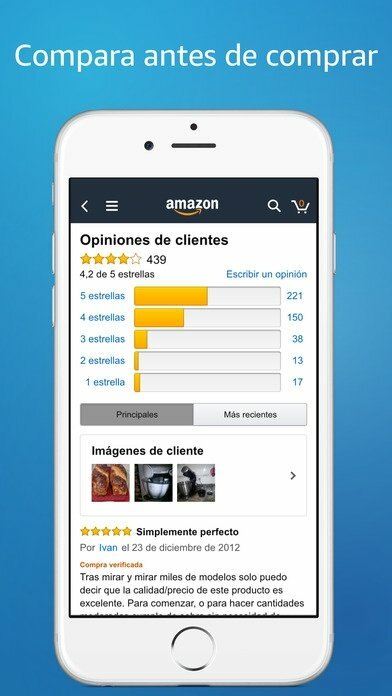 Check the opinions and ratings of the products on behalf of other users. Review the product suggestions offered by the system. Sign in as a user and check your shopping history or your list of favorites. Sign up as an Amazon Prime user, the premium service of this online store. 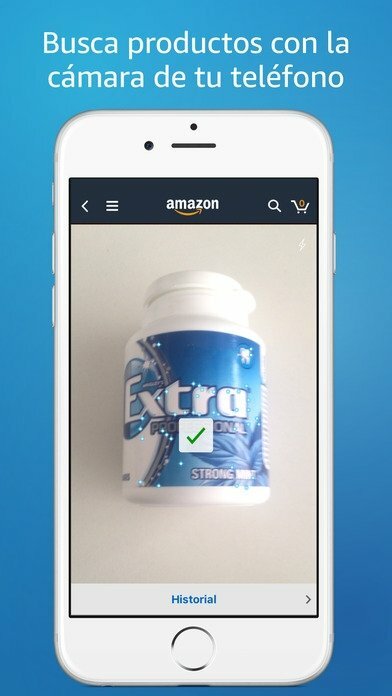 Compare prices and verify the availability of any item by scanning a barcode, taking a photo or using the search engine. Purchase safely: all orders are verified on the company's own servers. 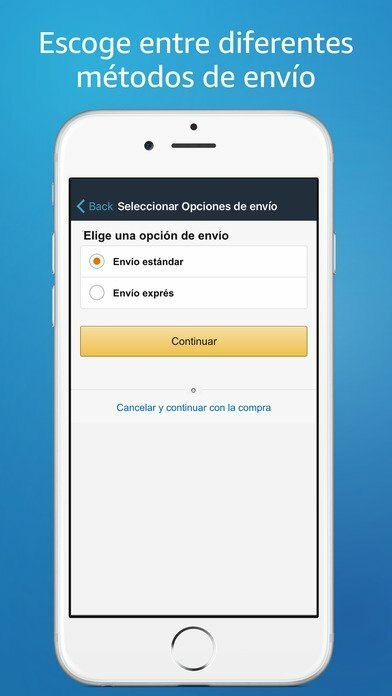 Purchase from the store of any country from the same application. Ever since the company started in 1994, it has undergone an exponential development that has come to a standstill over the last few years since there's more competition. But that hasn't stopped him from developing new businesses, such as its own store of mobile apps, its bookstore with its own eBook reader (the renowned Kindle), its AI and IoT system (Alexa) or Prime Video, an on-demand online television system that competes with Netflix and HBO. However, we can't forget that it's also had a few failures over the last years... isn't that right, BuyVIP? Correction of bugs to offer you, as always, an improved shopping experience.